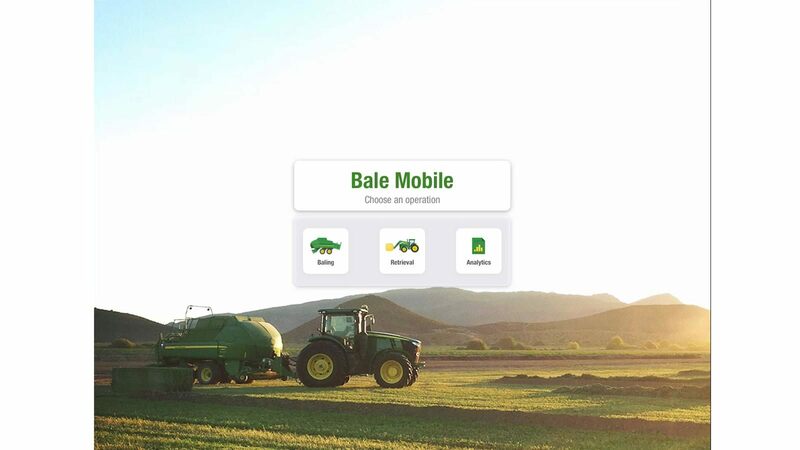 "Tractor operators can see their information in near real time while Bale Mobile documents the baling process," says Nick McKelvey, John Deere senior marketing rep for hay tools. "Individual bale moisture and weight are tagged to each specific bale (geo-referenced within the app) for improved traceability. Operators can also digitally tag specific bales with additional notes in the app that are useful for sorting and enables them to make better informed on-the-go decisions." "With this information in hand, it makes it easier for bales to be sorted by moisture, weight and whether or not there was a preservative applied. If certain bales were wet or weedy, producers can quickly separate them from the hay stack," McKelvey says. For commercial hay operations, Bale Mobile also makes it possible for producers to remotely view real-time bale weight and moisture readings for each round baler that's operating in the field, simply by using an iPad® or tablet computer. "A field summary shows yield information to help producers make appropriate agronomic decisions when it comes to taking future actions such as fertilizing, irrigating or reseeding," McKelvey says.